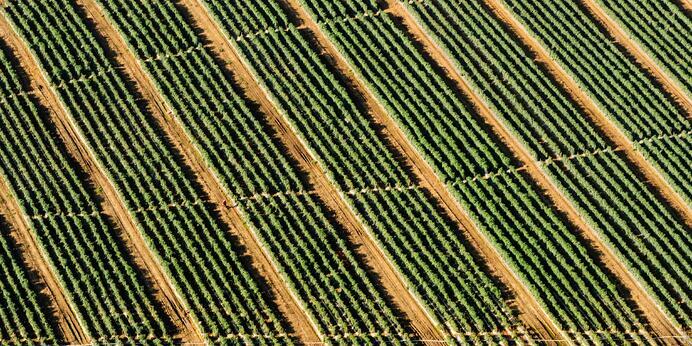 Drones are revolutionizing the way we think about many industries, and agriculture is no exception. The professional services network PwC released a forecast that outlines where the biggest drone impact will be. "The key market segments for near-term drone services are infrastructure and agricultural surveys — in other words, the inspection and monitoring of any sizable physical assets that need to be protected, nurtured, and maintained," reads the report. 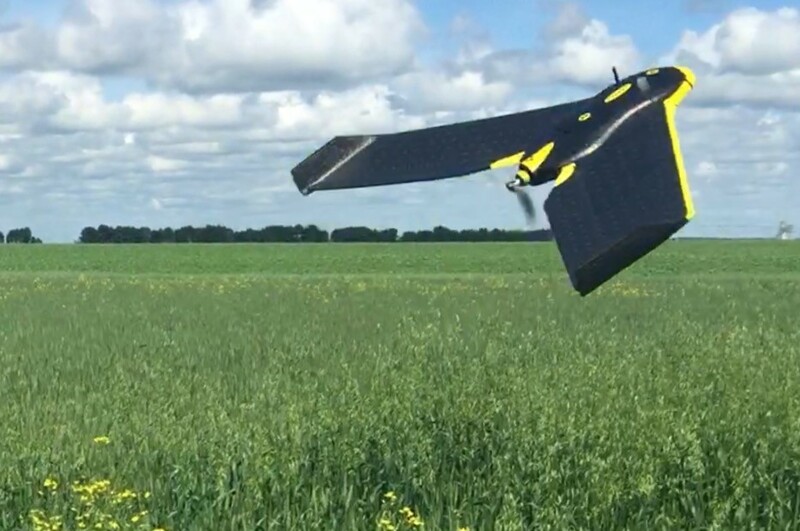 In short, the agricultural sector is ripe for drone tech applications. Matthew Johnson owns M3 Aerial Productions out of Winnipeg. He explained how he uses UAVs to create digital elevation models (DEMs) that are used by his clients in the agricultural sector for drainage management plans. What is drainage and why does it matter? Drainage means getting excess water off of the field quickly — that's within 24 to 48 hours. Drainage is big for growers. If done properly, farmers can avoid excess water stress. According to the government of Manitoba, excess water can be responsible for significantly decreasing yields of wheat, oats, barley and flax. 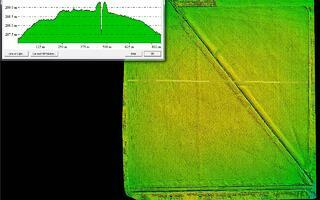 How do UAVs help with drainage? The best way to find out if water is draining properly is to make a topographical survey, or drainage map, of the land. "Current methods used to create drainage maps include shooting lasers across the field to see which points are lower or higher, and then investigating the depth," said Johnson. "Another common method is to attach sensors to harvesting equipment that take measurements at certain intervals during the harvest. The result is a grid layout of the field with spacing every several feet between points. This spacing can vary anywhere from five- to 20-foot intervals, depending on the equipment used." Thanks to advances in drone technology, that data can be collected much more quickly and specifically. 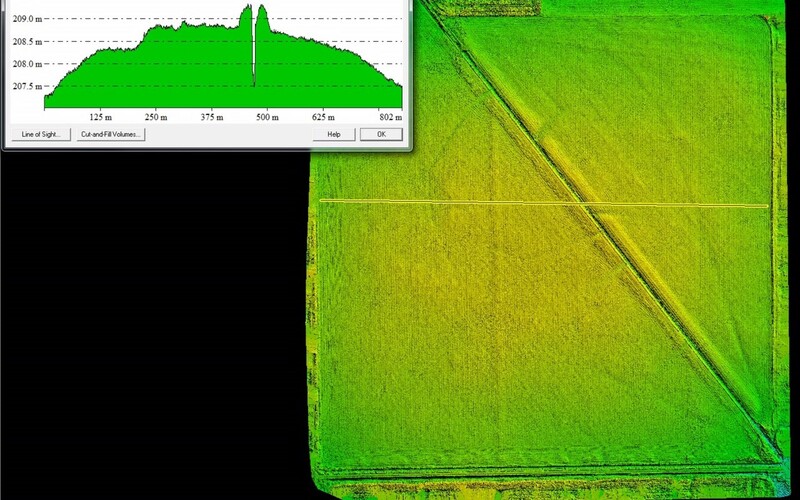 "Using a UAV, such as the eBee, in combination with several ground control points (GCPs), we can now generate a digital elevation map with points as close together as 5cm," explained Johnson. And what are the implications? "The GPS and software system is able to assign a location to each pixel in an image that the UAV snaps as it flies above the field," Johnson continued. "The center of each pixel is called a point, and the distance between these points can be as close as 5cm. So picture a net laying over the field, with tiny 5cm holes. "The rendered point map that our software produces looks like that net," he said. "We are able to then fill in the spaces of the net by 'connecting the dots' to make an image of the land that is color-mapped to indicate the variation in elevations throughout the field." Using that information, Johnson's client can create a plan that will drain the low area on the NDVI (normalized difference vegetation index) map. That way, they're more likely to see higher yields in those areas next year. And as the PwC report noted at the beginning of this article states, agriculture isn't the only sector that benefits from this technology. Johnson says that this new system of topographical mapping has applications in the surveying and mining industries as well.